Well, I didn’t have $230 in my pocket, but I did have a hankering to visit the Goodwill in the next town over. It’s bigger than my neighborhood Goodwill and only five miles away, but it’s been a while since I popped in. When I pulled in the parking lot a little after 9:00, it was nearly empty and for a second I thought the store was closed. But no, it was open, just blissfully devoid of other shoppers, which wasn’t the case by the time I left the store. There was lots of newer stuff…as usual. Some nice, but not my thing. 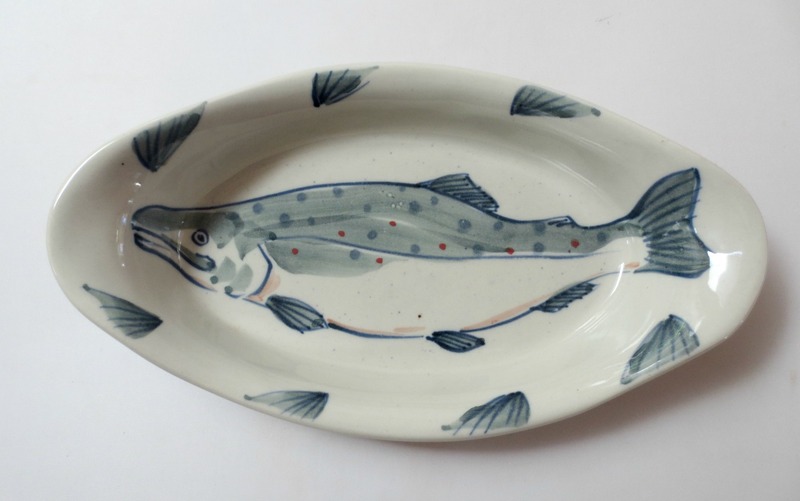 Then I found this artisan-made pottery fish dish. Okay. Something fun to put in my basket. 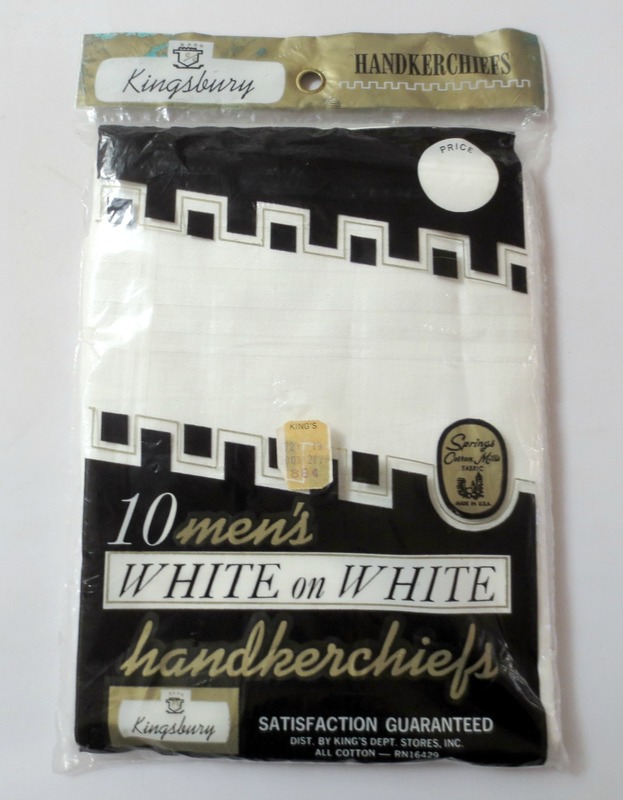 Then on a shelf with used sheets, pillows and packages of newer linen bits, I found this little package of 10 vintage Kingsbury men’s (made in the U.S.A.) cotton hankies. Super! The Kings Dept. Store is long defunct (taken over in the 1980s) and apparently was founded near my hometown in Buffalo, New York. It even has it’s original price tag of 88 cents. Honestly, I HAD to buy these. I’m guessing these are from the 1960s. 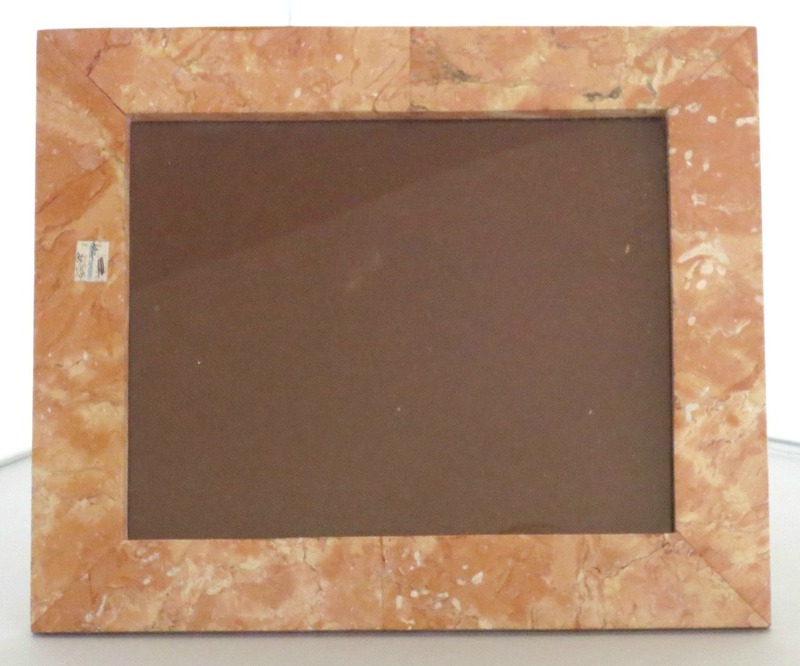 Then I found this big vintage picture frame for an 8″ by 10″ photo…made of beautiful stone. (I’m assuming marble.) It too had an original price tag. Geez, this thing is crazy nice. And heavy. I turned down lots of things. Mostly clothing…really nice clothing…but which tend to be slow sellers for me…alas, alas. I know some online sellers do a brisk business selling clothes, but I feel like it’s a nut I haven’t fully cracked. I do think it helps though when I have my oldest daughter modeling for me. People love to see how an item hangs. 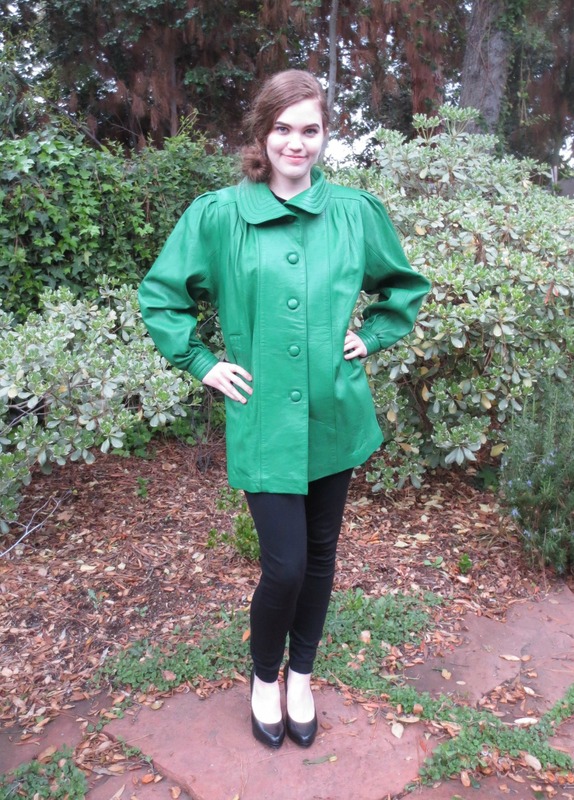 She makes this vintage Italian leather coat I bought at my neighborhood Goodwill look like a million bucks. Thinking I might hit up an estate sale or two this weekend. Maybe I’ll see you there! Your daughter should look at text book rentals. There is no need to buy text books anymore. Even Amazon does text book rentals now.